A Kenilworth businessman has been released on bail after appearing before a judge charged with an insolvency offence. Simon Anthony Cockell, 49 of Fieldgate Lawn, appeared before Warwick Crown Court on Friday February 5 after an earlier hearing before Nuneaton Magistrates. The charge being put by the Department for Business Innovation and Skills, is one of obtaining credit while being an undeclared bankrupt. 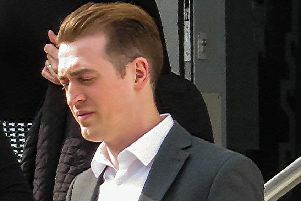 Mr Cockell was due to enter a plea in the pre-trial hearing on Friday, but was released on unconditional bail until May 20 after an application was made by the defence for the case to be dismissed. No plea has yet been entered but the court agreed that if should a trial go ahead, it is likely to last up to seven days.